Following the refurbishment of the exhibition at the Shropshire Hills Discovery Centre back in 2017, the flicks in the sticks films that they have shown have proved very popular with the local community. Including popular films like Peter Rabbit, Mamma Mia 2 and Bohemian Rhapsody, the Centre has been showing several screenings of films as tickets have been selling out. The next films to be shown are A Star Is Born, Stan and Ollie and the Greatest Showman. 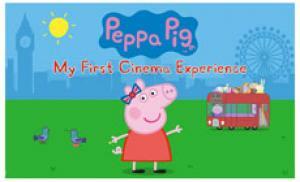 There will be something for the little ones too as the team are putting on a My First Cinema Experience with Peppa Pig on Saturday 4th May at 10am. Booking is advised as this showing is filling up fast, tickets are £3.50 per child and adults go free. For more information or to book tickets, phone 01588 676060 or visit the website: www.shropshirehillsdiscoverycentre.co.uk.